The 22-year-old joined Surrey from Essex over the winter and helped the club win promotion to Division One of the County Championship. He has been named in the England Lions squad for their winter tour of the UAE. 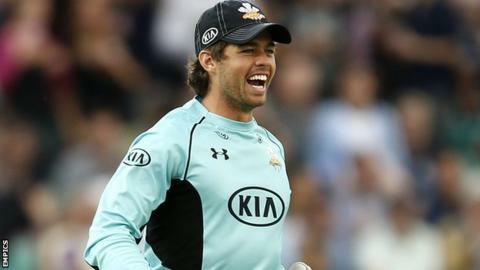 "Ben has had an excellent first season at Surrey," director of cricket Alec Stewart said. "He thoroughly deserved his selection for the England Lions squad this winter. "He has a huge role to play over the coming years and I'm confident that his talent and performances with us will see him play for England in the future."